Mercedes AMG SLS is a tribute to Mercedes-Benz 300SL Gullwing from Mercedes AMG. It is a combination of modern auto technology and classic legend. AMG SLS is also selected as the Safty car for Formula One race. 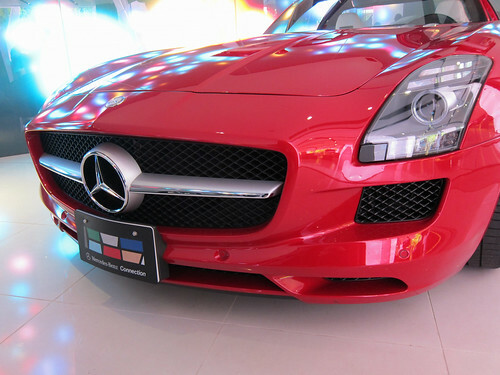 AMG SLS is not easy to see on road, and not to mention to have a close contact with it. I was lucky to have a close contact with this dream car in Tokyo. 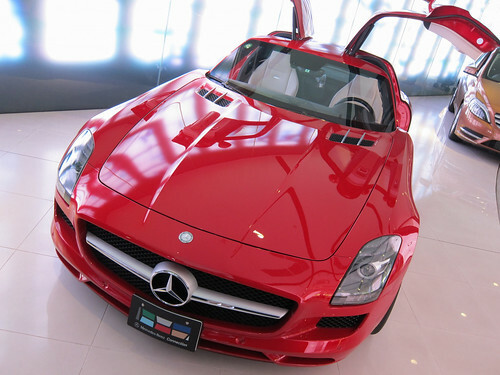 When I visited Tokyo Midtown, there was a Mercedes dealer names Mercedes-Benz Connection just near Tokyo Midtown and they has full product lines of Mercedes-Benz including the SLS in shining red color. 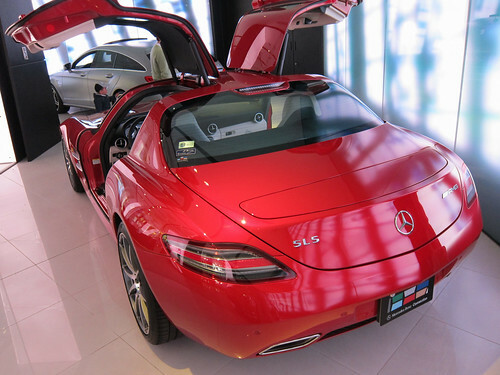 This dealer is a very visitor friendly place, I was able to feel free to touch and feel each car in the show room, except sitting in the SLS. After having good experience to have a close contact with these cars, you can have a rest at their coffee shop, or a meal at restaurant. even buy some souvenirs. If you are a fan of AMG and not in rush for your Tokyo trip, why not stopping by at this great play ground for car lovers?